The past few days I have posted several small book reviews of a few titles I have been reading for a class that I am taking next week September 21-25 with Dr. Brain DeVries. For the next few days I will post my VERY short thoughts on a number of different articles, selected chapters of books, theological journal articles, etc. Maybe if you are interested in the a Biblical Theology of Missions being that it seems to be a “hot” topic today, the articles and titles I list over the next two to three weeks will help you. How was this article helpful? 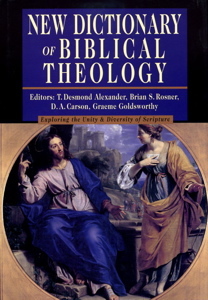 The article was helpful in that it first deals with the Biblical Theology in missions from genesis and in subject detail when in the New Testament. I like most from after explaining its’ Biblical Theology it explains in small depth in how Missions is the work of God today. Does this article change the way you think about this subject? 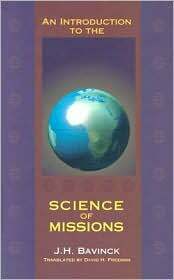 This article made me see in how Missions and Eschatology can go hand in hand in that all missions work are brought under Christ at the end (p.48-50). How was this article helpful? 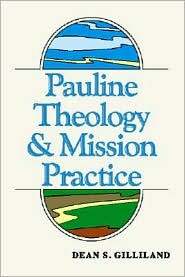 So far has been maybe the best book I have read in shaping the way I look at the theology of missions and even more the Pauline Theology of it (p.30-34). What was confusing or questionable? It maybe hard for the layman that does not understand proper logical reasoning being that the author spends some time on building arguments in making theological assumptions from Paul’s Theology on Missions (p. 47-67). Does this article change the way you think about this subject? I found it quite interesting that the disciples during their time with Christ had not much of a theology at all, but yet only faith that would later have to become their theology for their mission. How was this article helpful? This article was helpful in that it brought much thought to the fact that there is a theology of Mission, but only from Genesis 3:15 to Rev.20… Nothing of it in the Garden nor will there be any in the New Jerusalem. What was confusing or questionable? Was Judaism a missional religion in intertestamental period? And if not, then was the Mission of God through His chosen nation put on hold? Does this article change the way you think about this subject? This short section really made me think in how often neglected the Theology of Mission is forgotten in Systematic Theology.